Leadec Industrial Services expects that by 2025, over 50 percent of all production units will have become smart manufacturing units. Leadec Industrial Services, one of the leading providers of technical services for the manufacturing industry in the automotive and industrial sectors, says that companies are fast adopting automation and digitisation at their facilities around the world to enhance competitiveness and operational productivity. It is often debated that automation is being deployed faster in regions with high labour costs when compared to countries with availability of cheap labour and that increasing automation will bluntly cost loss of jobs on a large scale. While global automakers are already aligning their facilities with the concept of Industry 4.0 or the fourth industrial revolution and the factory of the future to achieve major efficiency and competitiveness improvements, they are heavily relying on data-based findings (such as predictive maintenance) to avoid downtimes. 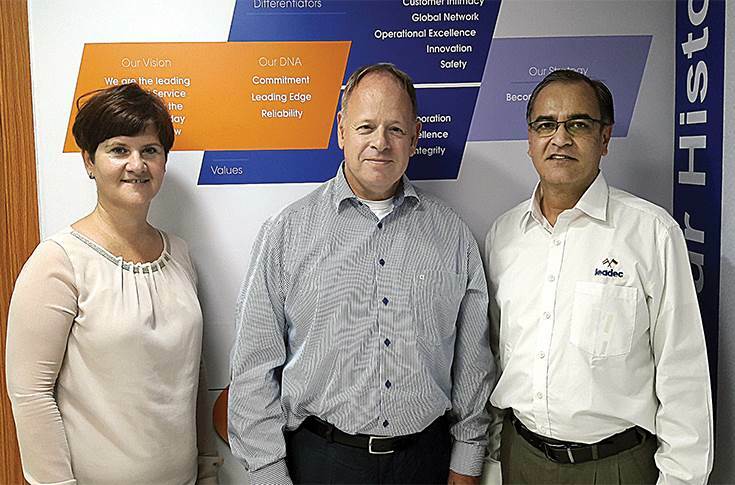 L-R: Dr Marion Hebach, head of Corporate Communications, Leadec Holding BV & Co KG; Dr Christoph Jaschinski, senior vice-president, Leadec Holding BV & Co KG; and Sudhir Gurtoo, managing director, Leadec India. The Stuttgart-based company, which was known as Voith Industrial Services until 2017, has four service groups: Install (electrical installations, automation, disassembly and reassembly), Maintain (production equipment maintenance, technical cleaning), Support (technical and infrastructural facility management, internal logistics) and Digitize and Optimize (intelligent factories). According to the company, these areas of operations remain indispensable even when the plants embrace automation because there will always be the requirement of expert technicians who can overlook operations and optimise the flow of work. In India, the company operates within those four broad groups. It is a leading name when it comes to production equipment maintenance in the automotive and industrial segments. Leadec is also heavily involved in driving digitisation across plants in India. 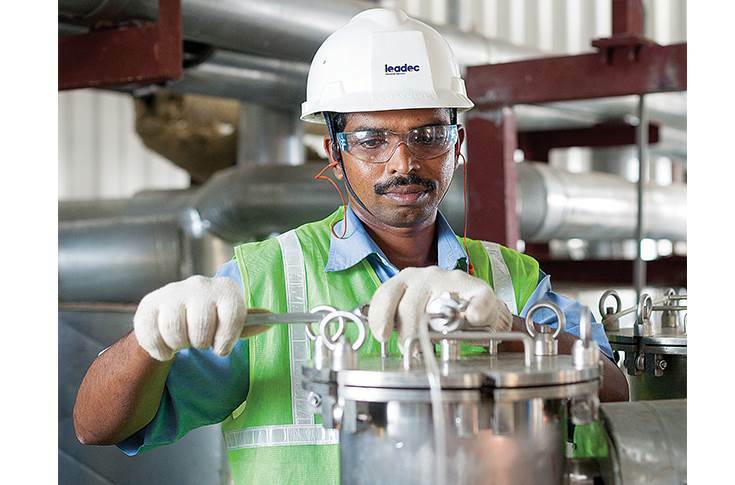 India is a fast-growing market for Leadec Industrial Services, which employs about 20,000 people across 200 locations. The company, which is owned by Triton since 2016, is growing at 30 percent YoY in India and 8 percent globally. For Leadec, India, China, Mexico and Europe are the significantly growing markets. “Last year was a good year for us across all regions. We are growing in auto and other markets. Our annual turnover is close to a billion euros now. We see a significant trend towards outsourcing maintenance services, pushed also by digitalisation and the need for data to improve the sites and the site performance in all regions. We see a big trend and push in Europe, Americas and Asia. South America is just picking up,” he added. In India, the company is deploying advanced technologies to forecast potential problems that can lead to severe downtimes and resulting losses. This, according to Sudhir Gurtoo, MD, Leadec India, is beyond the applications of predictive maintenance. With a fast-evolving Indian automotive segment, Leadec is playing an instrumental role in automating and digitising plants across OEMs, Tier 1s and others in the value chain. According to Jaschinski, all newly built production units are fully digitised as of today. “However, the challenge is to digitise the existing 99 percent of plants around the world. These are the brownfield facilities and it is here that you have to find the right approach to collect the data intelligently. This data collection is where you make the plant intelligent by giving it the right tools and installing them. We, as a company, are here with those people who have domain know-how about their tasks,” he said. Leadec management has drawn up a forward-looking growth plan, which charts its roadmap until 2022. According to the senior officials, while it covers the roadmap for all countries, it looks at India to continue being its fastest growing market with 30 percent YoY growth over the coming years. “We can grow, especially in the technical areas including maintenance and also in automation. We are also looking at significant growth in the crating business. Our focus is to drive digitalisation and go beyond automotive to use the knowledge and the knowhow that we have built from the auto industry and bring it to other industries such as electronics, aircraft and defence. All these industries have similar patterns, discrete manufacturing, we can learn something that we can bring back to our country,” underlined Jaschinski. Leadec is now aggressively expanding and training its global workforce. In 2016, the headcount stood at 18,000. The headcount will be ramped up to 25,000 skilled engineers looking after facilities globally by 2022. Expect India to be a big part of that expansion.